I’ve been passionate about yoga since my first class in London 17 years ago. Moving my body into positions which I hadn’t been in since childhood felt amazing. I was also hugely impressed how breathing into a pose really helped the body to open up and deepen the posture without forcing it. I could feel the physical and mental benefits straight away, such a bonus to combine a physical workout with a mental recharge. I spent 7 years in Sydney, Australia attending a fabulous Power Yoga studio. It really got me deeper into yoga, the philosophy and detailed aspects of each asana (posture), assisting others and attending some amazing retreats and workshops. Yoga can teach us a lot about ourselves – when you slow down and reach your edge in an asana, you can really observe your reactions and see how this corresponds to your behaviour off the mat. It was whilst pregnant with my first child that I began to appreciate how my body had changed and that there would be different physical challenges associated not just with pregnancy but with motherhood in general. I still practiced, but the frequency dropped off a little and I naturally wasn’t as physically capable as before. I started to get more interested in gentler styles of yoga and see how these styles can also be hugely beneficial. I don’t believe all the different categories of yoga are hugely significant – if you have a mind, body and breath you can practice yoga of some description, you just need to find the one that suits you. Since deciding to train with YogaBellies I’ve worked a lot with pregnant women and new mothers and their babies. It feels like an absolute privilege to design classes which can help them at this special time in their lives. Pregnancy is physically challenging and yoga can be such a great help in building strength and calm. YogaBellies classes also emphasise community and support so watching my class making friends with each other is richly rewarding, knowing they could be friends for life. I’ve also really enjoyed the opportunity the Courtyard Clinic has given me to teach Ashtanga yoga, bringing me back to a strongly physical style of yoga where clients can enjoy building strength and gaining flexibility. Its a wonderful companion to other sports like running or swimming which can build tightness in certain areas of the body which yoga can really help to release. As someone who has dipped in and out of running in my life, I always felt I had a much better run and almost a giant running stride when I’d practised yoga the day before and released my hip flexors! I believe that yoga is a constant journey of learning which I am committed to enjoying for the rest of my life. I was fascinated to learn about the technical aspects of human anatomy during my training which supported all my asana knowledge. 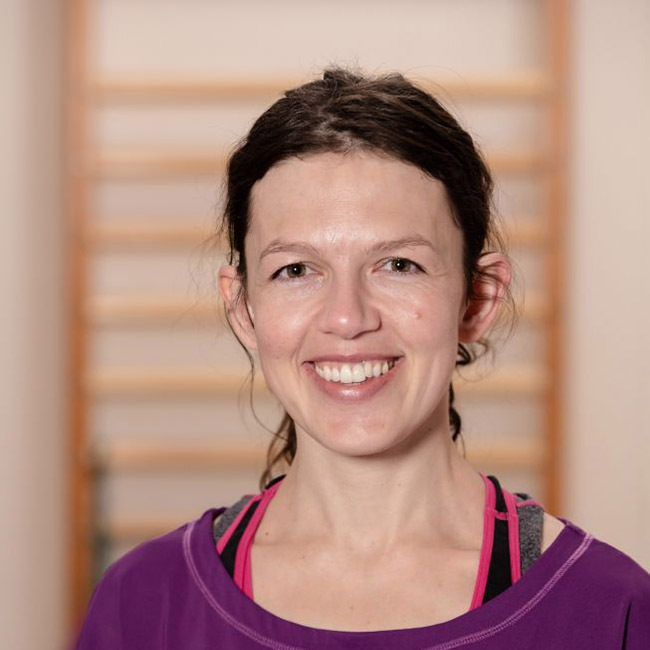 I feel passionate about sharing my knowledge and the benefits of yoga with other people and very happy to be fully supported by the wonderful team at Courtyard Clinic.